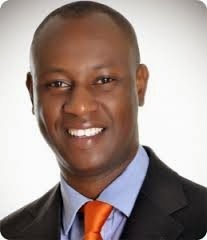 After only a year in office, Nairobi deputy governor Jonathan Mueke is already residing in a residence worth millions of shillings in a posh Nairobi estate. In has emerged that the DG, who is also known to have been a part time DJ in US is running clandestine operations at City Hall, which has raised the antenna of government detectives and the administration of City Hall. Mueke, who joined City Hall with a 20th century old BMW jalopy is now swimming in hundreds of millions from alleged dubious deals which he has crafted and pushed in the short time he has been Governor Evans Kidero’s deputy. Unconfirmed reports have also firmly hinted in his social circles at a popular club along Lenana Road, that his political star is fast rising with his eyes trained on 2017 for a higher political seat in the city. A source told your authoritative political newspaper that while drinking with former MP Charles Kilonzo, Mueke boasted at how he was making Sh4 million in rental apartments monthly. Observers are however worried that Mueke who is in his mid 30s and who is the son of a renowned medical doctor, may not see his political ambitions materialise due to plans by MCAs to impeach him. Security officials within the corridors of power at City Hall are also worried at the high turnover of secretaries manning his reception as many have left in a huff openly complaining of being victims of harassment. One of the security handlers at the security office intimated that the notorious Nairobi number two hardly returns to his office in the afternoon as he is always spotted his official car moonlighting with teenagers in popular leisure joints in Westlands district. Mueke, who is nowadays seen in almost all ODM party outdoor activities, always boasts of having the ear of Cord principals Raila Odinga and Kalonzo Musyoka. “Whenever he addresses Cord rallies in Nairobi, Mueke later boasts in the evenings at Club Cedars or Viva Lounge in Kileleshwa that he got a direct invite from Raila despite the fact that he is just invited like any other ordinary member,” said a close aide.